« Court is in Session! Content Warning: While it contains nothing objectionable, this post is a bit sad in places. Still, it’s important to me that I get a chance to share things, from the very start, to the present: even the sad parts. When I was about ten, my life took a turn in a more complicated direction. My home life became unstable and I ended up living in a group home. I stayed there on and off for the next few years. It was an extremely awkward time in my life: I had begun to become aware of all the ways in which I was different than my peers. I had always known that I came from a less stable background than most of the other children I interacted with, but as I had more exposure to other people’s families, I became distressingly more aware of how little my own life conformed to society’s standards. It was during this time that I began to separate the ways in which I was different because of my circumstances: the things and experiences that I was not able to have but other children were, the lack of stability and comfort that I received at home et cetera, and the ways in which I was different because of who I was as a person: the fact that I preferred to read books or daydream than to socialize in groups or play sports and the fact that I wanted to learn everything while other children were satisfied to leave things unexplored. During this early self examination, I discovered two other things about me that I perceived as both inherent to who I was and socially unacceptable: I wanted to think about spanking all the time, and I was more interested in looking sexually at other girls and female celebrities than I was at boys and men. At ten, I was beginning to go through puberty, I was at the height of my social vulnerability, and I had been thrust into a situation where many of my peers were older than I was and, due to the difficult backgrounds that tend to land children in places like a group home, many were aggressive, angry and judgmental. Furthermore, I had no privacy whatsoever: I shared a room with five other girls in my age range. I still attended a public school, where I found myself even more of an outcast than I had been before. At “home,” I was an outcast among outcasts: I was constantly teased for my bookish nature and my strange sense of humor. It was during this time that I fell deeply obsessed with video games as a secondary form of escapism, since I no longer had constant access to the library. 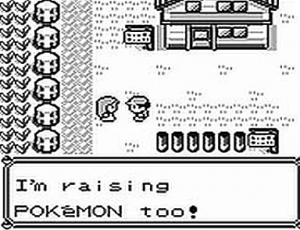 I did, however, have a Gameboy Pocket and a copy of Pokemon Red. It was the only game I had, but it didn’t matter. It was the only game I needed, and I played the hell out of it. 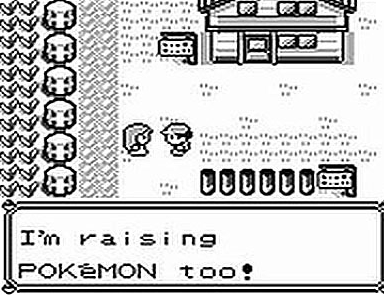 When my Pokemon all reached max level, I started the game over. It was during this time that I discovered the book Boy by Roald Dahl. I found it on one of the shelves in my classroom and, as soon as I discovered the content, was afraid for anyone to see me reading it, so I stole it, brought it “home” and hid it under my mattress. I read it in any moment of privacy I could procure, flinging it back into its hiding spot when I heard the door open to the bedroom. 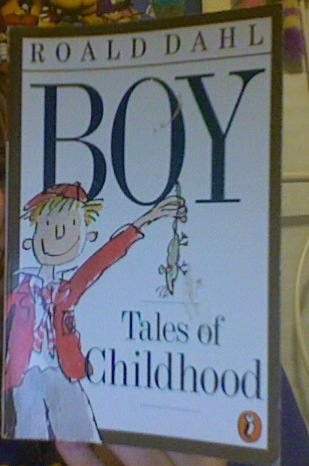 For those who are unfamiliar with the book, Boy is Dahl’s autobiography of his childhood years. It is meant to provide the same kind of perspective on the world that most of Dahl’s books offer to children: it presents the world as a place that is full of both wonder and terror and which is dichotomized between people who will do sadistic harm to youth simply because they can and those who will always love and protect children. Yeah, I still have it! That said, it is also a very thinly veiled attack on corporal punishment as practiced in the English Public School system. The text was written and published during a time when the banning of caning in English schools was still a hot-button issue, and Dahl presents the historical tradition on which the practice is based as a series of horrific tortures that he underwent. I am in complete agreement with Dahl’s opinion, although I admit that his text is emotionally manipulative. The caning scenes are the most detailed in the book, and there is one every couple of chapters. 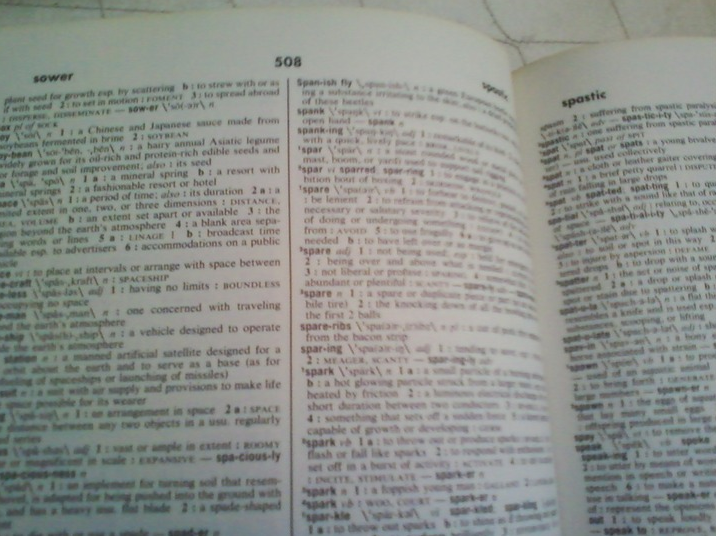 They are presented as intentionally sadistic and extremely damaging to the students, who are young, defenseless and terrified of their superiors.Until Boy, the only text I’d ever seen relating to spanking or corporal punishment was the dictionary definition of “spanking” which I frequently looked up when I could ensure that I was alone. I just ate that book up. I loved it. I was obsessed with it. I eventually got brazen enough to carry it in my book bag, and I would excuse myself from class to read the beating scenes in the bathroom. Boy put a huge spin on my fantasies for a long time. I began to focus on boarding school scenarios rather obsessively, sometimes thinking about them so long and so obsessively that I would be unable to sleep for days on end. With the amount of desire to be spanked that I had and the entire lack of ability to express it, or even gain support about the way I was feeling, my obsession became unhealthy. 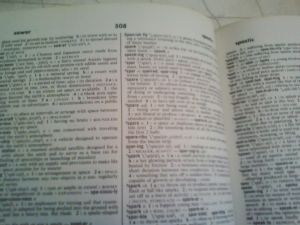 After all these years, my Dictionary still opens to page 508. Boy had another influence on me, though: it dramatically increased the level of shame that I felt for my desires. The situation was made difficult because I did not know that consensual spanking play existed yet. I could only fantasize about the non-consensual, and I knew that spanking children and non consensual corporal punishment were against my morals. Dahl was clearly deeply traumatized by his experiences being caned as a boy, yet I could not stop thinking of them and being filled with a joyful excitement. I believed it was wrong for me to be so obsessed with behavior that had harmed others. I did not want to be part of something hurtful. I felt deeply ashamed of myself for this. Combined with my extreme lack of self confidence and the awkwardness of being among peers who did not accept me, I came to the conclusion that no one could ever know about my spanking fantasies for any reason. If it ever came to light, I resolved to kill myself. I know, it sounds pretty silly now, but I felt a dark desperation in my heart. I couldn’t imagine living my life with a desire for something as strong as my longing to be spanked and no way to fulfill it. I had tried to come up with ways that I could receive spankings, but, since I had no knowledge of the kink community, I always came up empty handed. I wanted something dark, seemingly immoral and impossible, and I feared it would consume me. Shortly after I “hit bottom” regarding my feelings about myself as a spanko, I met my first girlfriend and began to have my first loving, positive relationship. Although it had nothing to do with spanking, the lessened feeling of internal loneliness and alienation took some of the edge off things, and I was able to tone things down to a healthier level. I talk frequently about “celebrating” being a spanko when I engage in play, and that’s extremely important to me. Every time I bare my bottom, I’m preparing for something that is at the very center of my nature. I am not ashamed of who I am or what I want. My Top is a person like me, an insider to my spanking existence, and we’re going to do this now because it is the thing that we want and enjoy and there’s nothing wrong with that. It’s pure bliss. Sometimes, when I’m over a lap and getting spanked my mind flashes with the thought: this is real. I wanted something I thought I could never have, and in the end, I found something better than anything I had ever dreamed of. HUGGGGS I’m sorry it was so rough for you back then, but you overcame a lot to become a beautiful young lady with confidence, intelligence, and the drive to achieve what you want in life. Thanks for sharing this. I’m so happy for you that you did. It’s a wonderful thing to be able to act on our deepest needs and desires and after years of fear, not need to feel shamed by it. Omg, Boy! I actually got assigned this book in third grade. I fantasized about the candy shop lady coming to the school ALL THE TIME! and the boarding school. Looking up spanking in the dictionary, classic! My aha moment was at 6 when I saw dead poets society with my grandma.she asked what my favorite part was and I said when Charlie got paddled. She was weirded out, and I realized it wasn’t something I should talk about. them my dad caught me rewinding Yankee Doodle Dandy over and over again to watch the spanking scene at 9, which was super awkward. i got it all under wraps after that. Just laying up nights telling myself stories, usually where I was an orphan or little sister to some boy in one of the stories,and they would spank me to protect me because I was reckless. I love spanko history. All the things we felt and did and thought we were the ONLY ones.